Evil Cheesey Rides Again is about the legacy of a man, the story of a place, the passing of time, the change that comes with it, and the sediment that remains after a flood. Check out our interview on Colorado Public Radio here. 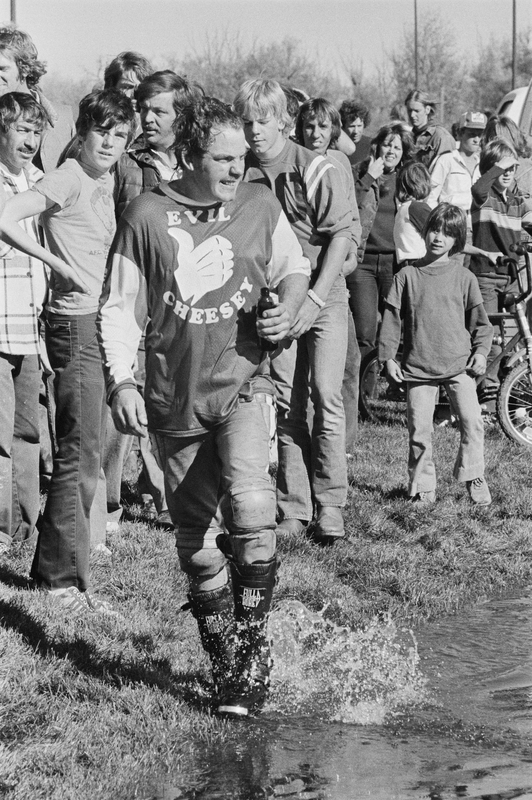 Terry "Evil Cheesey" Chesebro was adopted in the 1950's by a prominent plumbing family in Boulder, Colorado, and jumped motorcycles in the 1970's. The history of this town, from the settlers to the start-ups, of lean, keen, green folks erecting and upholding this push for perfection: The City of Boulder... and Terry's universal parable stained atop it. A being who lives in the now, for that millisecond above the water, is reckless, and tarnishes the image...what happens when a place wants to shake bad press, and maintain an ideal aesthetic...what happens to the ones who don', or cannot, conform? I am making this with my fellow Critic/Filmmaker/Creative Director/Cinephile-collaborator, Jack Hanley, whose work you can see by clicking this here! Evil Cheesey Rides Again is currently in the final stages of production. Teaser 1 - What is a Man?